​​If Sport Fishing is your game then this is the boat to have. 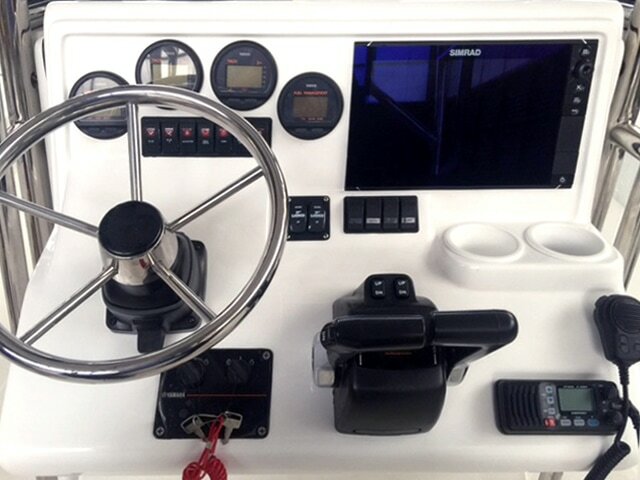 Our 26GT Centre Console is a proper Blue water battle wagon. Our offshore deep V hull will ensure you get to the fishing grounds quickly with power options of up to Twin 200hp outboards. We can load this boat with tons of features and a fuel capacity of up to 800liters to allow you to get to and come back from those far off fishing grounds without having to refuel. Available with an optional crows nest, Outriggers, live well you can really turn this boat into a proper fishing machine.